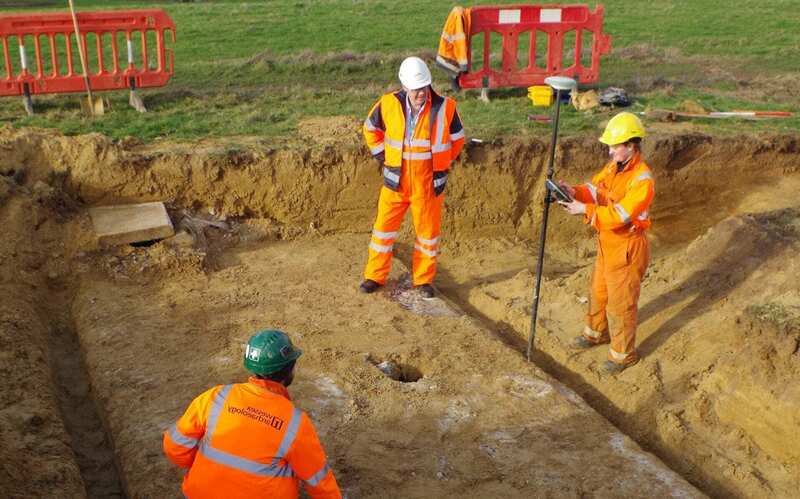 The excavation, undertaken by Wessex Archaeology on behalf of Balfour Beatty as part of the Wokingham Borough Council’s Major Highways Programme, uncovered the post after an anomaly was spotted on the site’s preliminary survey results. The structure, part of a national network of 1,563 strategically placed UGMPs, was built for the Royal Observer Corps (ROC) in January 1961, part of preparations for the reporting of radioactive fall-out, should a nuclear strike occur. It is relatively uncommon to uncover the posts in such a way and archaeologists were surprised to discover that the monitoring post presented a further anomaly. This spot in the landscape was used as an above-ground observation post from 1936, and as a UGMP from 1961 until closure in 1968. Within the specially equipped and reinforced underground room, three ROC Observers (all volunteers) would monitor the effects of a nuclear attack on this part of the United Kingdom. Details of the power of the explosion, height above ground and subsequent radiation were reported to the United Kingdom Warning and Monitoring Organisation (UKWMO), who, in turn predicted the results and issuing ‘Fall-Out’ warnings to the rest of the country. The remains of the structure will be removed prior to the construction of the relief road. In acknowledgement of this historic find and to mark its significance, Wokingham Borough Council and Balfour Beatty are planning to install a memorial stone at a date yet to be confirmed. The proposed memorial stone is to mark the location of the Observation Post, in partnership with local groups, Arborfield Local History Society, ROC Heritage Group and Arborfield and Newland Parish Council.